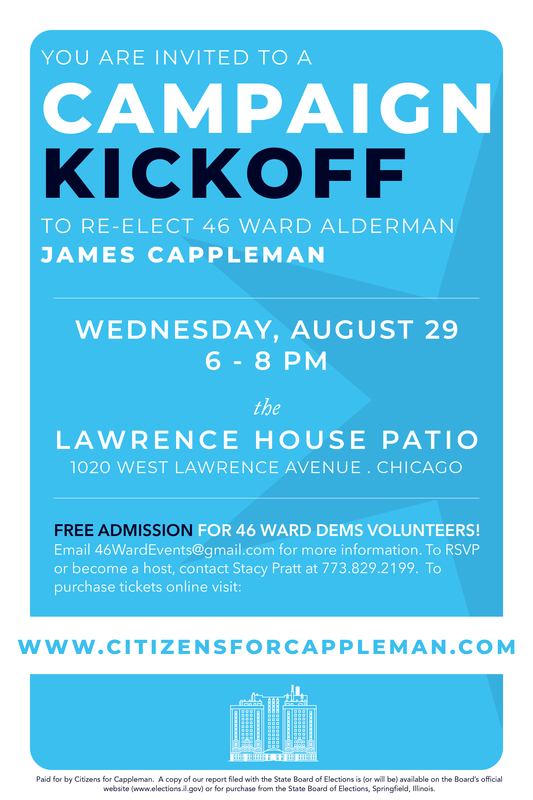 Join us at The Lawrence House to kickoff Alderman Cappleman's 2019 re-election campaign! ​Tickets available online here or can be purchased at the door. Download the event reply card here.